Jacques Hopkins spent 12 years of his childhood being taught piano through traditional classes. At the end of his lessons, he realized he only knew how to play two songs. There had to be a better way to learn piano fast. Does this sound like a struggle you’ve been through? How many times have you thought “I want to learn how to play piano,” only to find even basic piano lessons tough, boring, or too slow to see real results? Or maybe lessons begin to feel like a drag, instead of the creative outlet it’s supposed to be. The problem isn’t with you – the problem is with your piano curriculum. If you’re pursuing traditional piano lessons for beginners, there’s no guarantee you’ll learn to play piano quickly. Most piano lessons taught by traditional teachers assume you’ll need to stay with them for years on end! There is a way to learn piano in under one month online courses. In fact, there’s a way to learn it in just 21 days. It seems like an amazing feat, but it can be accomplished easily by breaking your piano curriculum down and focusing on learning chords that you actually want to play, not just the same, boring notes and old-fashioned exercises over and over again. After all, most of us didn’t find the inspiration to play piano in classical music, but in modern songs we hear every day. Even the best piano lessons for beginners or best piano teachers don’t always know how to tune into what you want to learn, which makes learning anything difficult. Everyone has a song they want to learn how to play, and you shouldn’t have to trudge through dozens of Bach and Mozart songs just to reach that goal. Learn to play the songs you want to play quickly. Traditional teachers base your piano curriculum on the expectation that you’ll stick with them for not only months but years, even if you practice their lessons daily. Many piano teachers have crafted their curriculum based on now-outdated information that they learned years before. Basic piano lessons like these are overpriced, outdated, and don’t give you enough time to both learn the theory and practice the piano. Many internet piano lessons will teach too much boring music theory and give you dozens of drills to parrot back, but if you want to learn how to play the piano fast, you don’t need another month-long course on music theory. What you do need is an online piano course that teaches you piano 101; in other words, the fundamental steps of learning any song without sheet music, without expensive lessons or the need for mindless drills. When you learn piano fast, you should be able to learn songs on your own and with ease. What good do years of piano classes do if you only know a couple of songs? If you’re like most people, chances are you’ve either taken traditional lessons before or have tried to teach yourself, but playing the piano can seem far more challenging than it is. 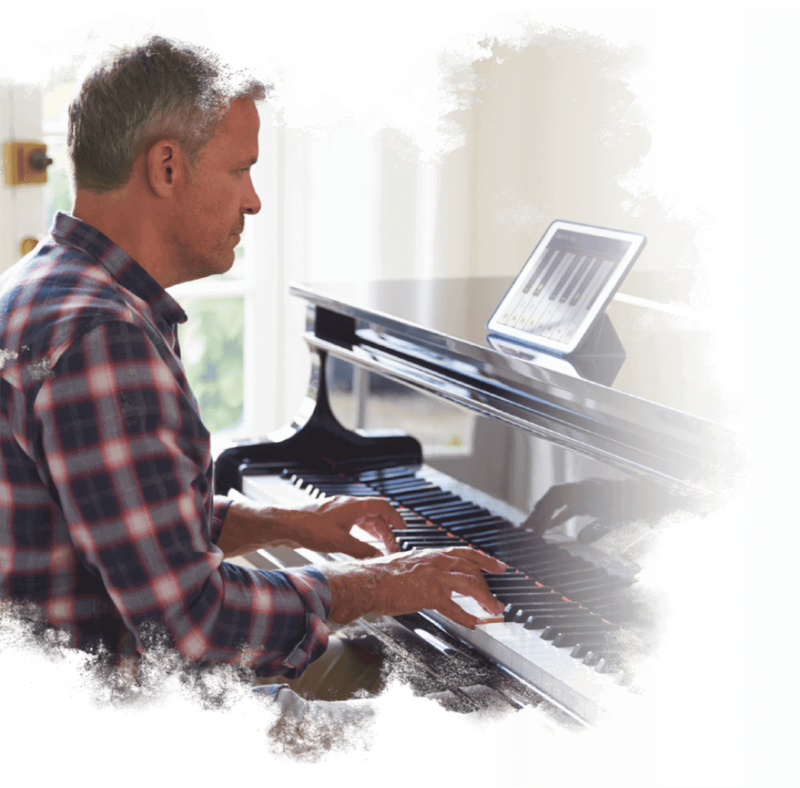 In Jacques’s online piano course, you can learn to play piano quickly and reliably. You’ll learn how to play easy songs on the piano in no time at all, without sheet music and without frustrating piano drills that seem to get you nowhere. With Piano In 21 Days, you’ll discover the fastest way to learn piano without an expensive, boring, traditional piano curriculum. You’ll be able to teach yourself piano. You’ll skip the weeks of music theory and get to know the basics of how to learn piano chords on your own by applying a unique framework you’ll learn in this online piano course. 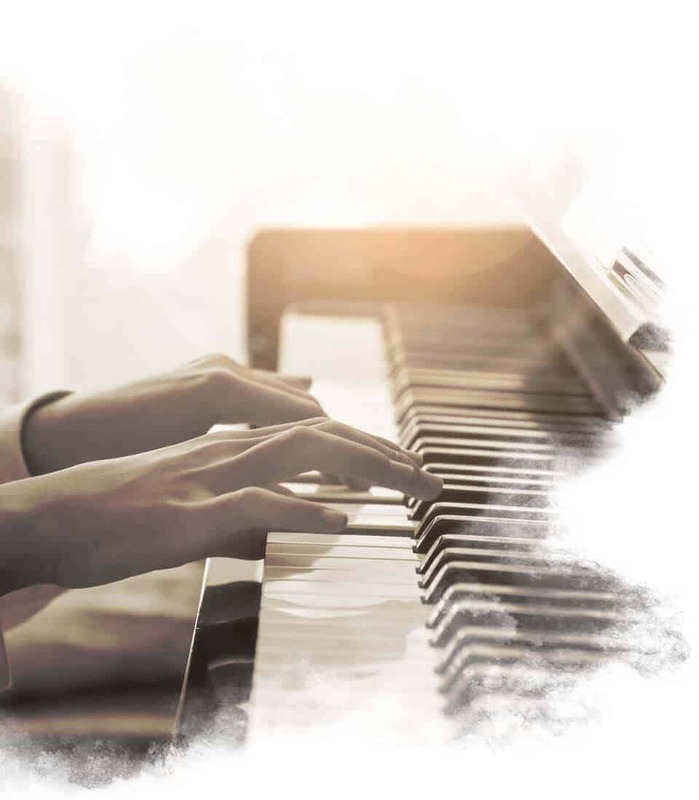 By the end of 21 days, you’ll be equipped to find songs to learn on piano and be able to play any song you want, anytime. 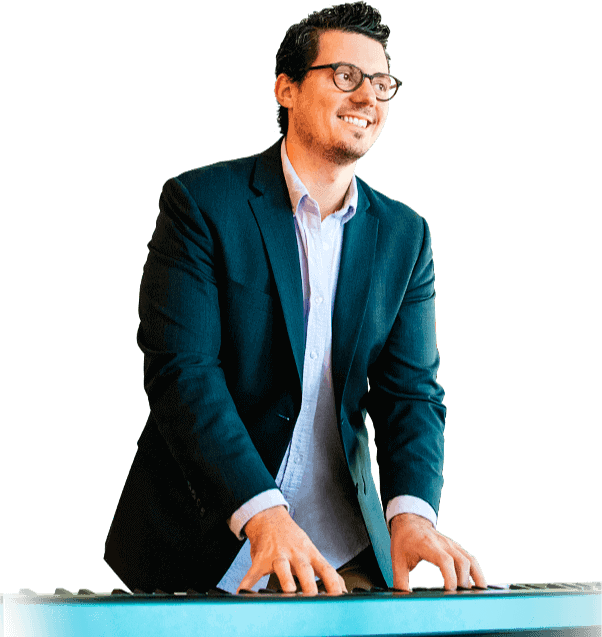 After he had quit piano lessons, Jacques spent several years during his career in engineering thinking about the fastest way to learn piano. After all, there had to be a faster way than learning two songs in 12 years. He took the 80/20 principle to heart, which states that 80 percent of results comes from 20 percent of work. 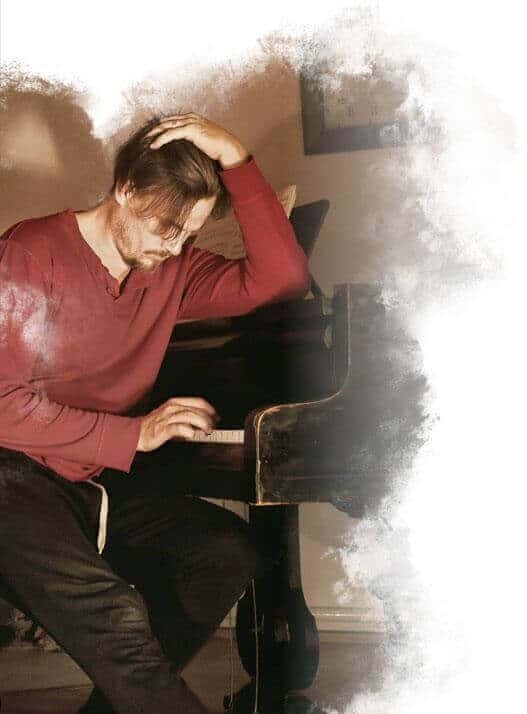 Having gone to several basic piano lessons himself, he sifted out the fluff and formed the 20 percent of exceptional piano curriculum and techniques that would be fundamental to what is now one of the best piano lessons for beginners. The result of this: an online piano course that helps you learn to play piano quickly through a natural 80/20-based framework. Learning piano inversions doesn’t have to be boring, even in an online piano course. You’ll learn how to play easy songs on the piano, not just repeat sheet music. You’ll learn a framework to understanding piano chords, and best of all, you’ll be able to learn any song you want to, making learning piano not only easy but enjoyable. You’ll learn how to make piano practice fun. Piano In 21 Days takes traditional piano curriculum and tosses it out the window, making piano lessons for beginners not only fun but interactive and efficient for the average person who has always wanted to learn how to play piano quickly. Shortly after joining, you’ll find that Piano In 21 Days is the best way to learn piano for adult beginners, providing an easy, structured piano lesson that anyone can follow. Many people don’t think it’s possible to learn piano fast, but the reality is that anyone can do it with the right framework behind them. You won’t be pushed through mindless musical theory, and you won’t feel like a robot who’s just parroting back the same notes, but you’ll learn a proven process for learning new songs and piano chords. You’ll learn piano fast with the songs you want to play, not what songs are chosen for you. This online piano course gives you the chance to tailor your class to your liking, unlike a basic piano lesson taught by an unproven teacher. Many previous students agree that Piano In 21 Days is one of the best piano lessons for beginners. Providing a step-by-step piano curriculum, you can easily learn how to play the piano in just 21 days. 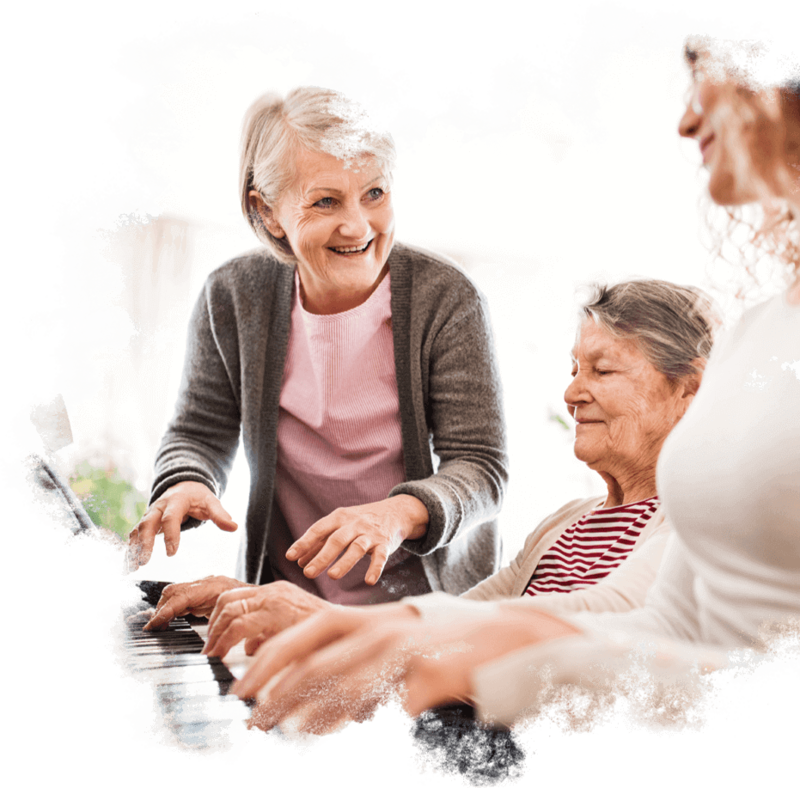 Whether you’re retired and looking for a new hobby, or you’re working and want something creative to do when you come home, you’ll be surprised at how easy the Piano In 21 Days curriculum is with this online piano course. Is Piano In 21 Days Right for You? Piano In 21 Days is an online piano course that is perfect for the average person who wants to learn easy songs to play on piano, someone who is looking for a new hobby and a potential passion. Perhaps you want to skip the drawn out basic piano lessons, or you simply don’t have enough time between your job, kids, or schedule. You’ll learn the fastest way to learn piano with the least amount of theory and drilling practice. 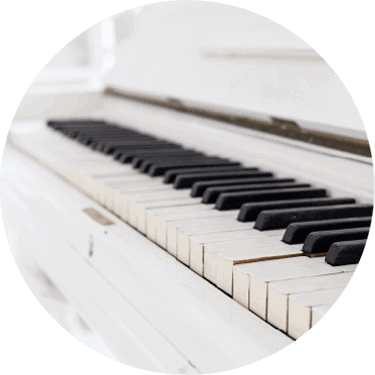 This piano curriculum is for people who might have taken a traditional piano class in their earlier life and want to go back to it, or who have always thought about taking an online piano course but haven’t wanted to invest weeks or months of their time. 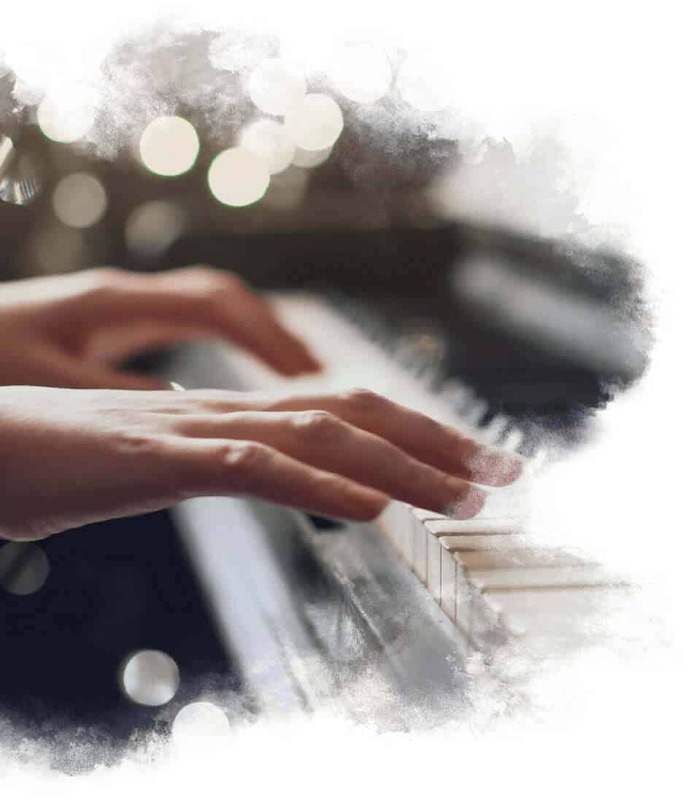 Whether you’re looking to learn a new hobby or are wondering what it would be like to play, you’ll learn how to play piano quickly and efficiently in just 21 days. This course is not, however, for people who enjoy sitting down for long, tedious practices and drills. If you’re someone who loves music theory, or who wants to pursue life as a professional pianist in coattails, then this course will not be for you either. Piano In 21 Days is also not recommended for people who only want to be able to play classical music (and only classical). In this class, one of the things you’ll learn is how to play pop songs on piano, not the same Mozart and Bach songs you learn in basic piano lessons. This online piano course is structured around teaching you the 20 percent of effort you need to achieve 80 percent of your results, which is perfect for the average person who is looking for a new hobby or creative outlet.Be prepared to dive into an easy, actionable online piano course that will teach you the framework you need to learn and play songs easily. If you’re interested in the fastest way to learn piano, then there’s no reason not to sign up. You can even download a free guided workbook right now to help you get started. Looking to Maximize Your Piano-Learning Experience? Many people who take online piano lessons and even traditional classes end up feeling stuck because they don’t know how to maximize their learning experience in-between and during lessons. No matter what skill you’re learning, there are always plateaus to overcome. Knowing how to power through these plateaus are essential to maximizing your learning experience and feeling accomplished with your progress. Below, we’ll introduce 10 of the best tips to help you maximize your experience with online piano lessons, no matter what type of lesson you’re taking, and no matter what plateau you’re trying to climb past. These tips will help you overcome any obstacle you face in your lessons. You’ll find that most of these tips seem like they’re for people who are taking online piano lessons. This is because many of our tips rely on the freedom to learn how to play piano your way, and where your lesson time isn’t limited to 30 minutes or an hour each week. These tips can still apply to people who are taking traditional lessons, but you may have to use these steps in your at-home piano practice instead of during the lesson itself. Online piano lessons are quickly becoming a popular way to learn how to play piano. It gives you room to practice whenever you want, revisit classes, and explore new ideas. Traditional piano lessons usually only offer guided practice time anywhere from 30 minutes to an hour per week, which is far too little when you’re learning how to play piano. People value the idea that they can take online piano lessons and stay at home with their family or take the classes when their schedule allows and find the best pop songs to play on piano.